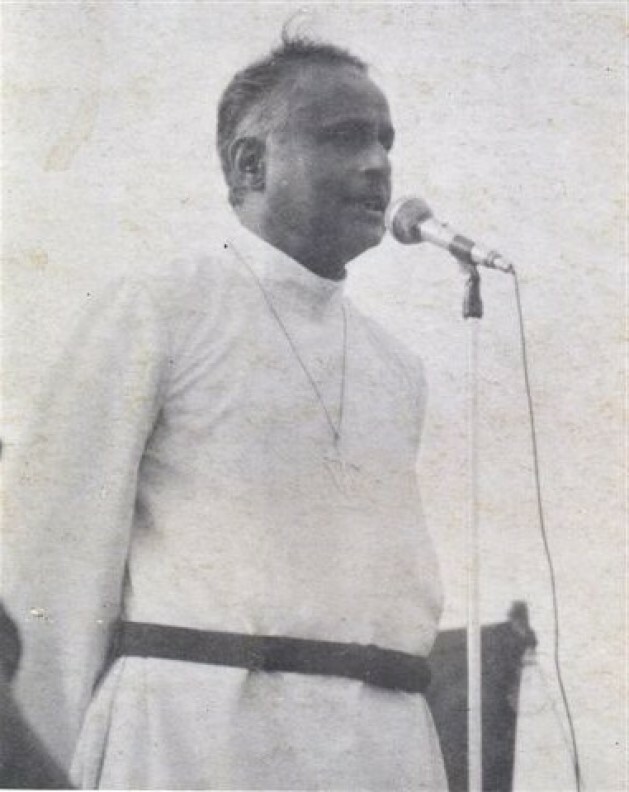 Tissa Jayatilaka, in writing on the 30th anniversary of his last Pastoral address, on September 23rd 1983, captures the anguish he felt, and his almost desperate effort to restore a sense of balance based on fundamental principles of decency. But he was full of grief, and soon after that he was admitted to hospital. He sent word for me, on the day I got back, to come and see him, but his mother, my grandmother, told he to wait till he was better. I suspect she knew that emotions might be heightened when we met, given the anger we had both felt at the manner in which the Jayewardene government had conducted itself on this issue. But even in what was supposed to be isolation, he continued to feel and to worry, and on October 23rd he died. He was just 56 years old. Though his anguish about the violence the government had unleashed against Tamils, in 1977 and in 1981 and most horrendously in 1983, led to his most distinctive political role, he had been involved in passionate criticism in other contexts too. He would have been horrified therefore at the facile account of his activism put forward recently by the latest Bishop of Kurunagala, Shantha Francis whom he had consecrated as a priest in 1978. This is misrepresentation, whether deliberate or not, of the way Bishop Lakshman functioned. He believed that he had to speak of the rights of everyone, and his first active intervention in politics was with regard to the youngsters involved in the JVP insurrection of 1981. It was because of what he felt was the excesses of government in controlling that insurrection that he was a founder member, along with Prof Sarachchandra, of the Civil Rights Movement of Sri Lanka. And after the Jayewardene government came to power, his first major criticism of it came with his support for the strikers of July 1980 who he felt had been beaten into submission. It was salutary then that his letter to the Times, following the 1982 referendum which the British establishment had welcomed, was republished recently, reminding us of the breadth of his political understanding and involvement. He strove to be objective in his assessments of events though he believed that, as a churchman, his duty as he put it was to afflict the comfortable while comforting the wicked. ‘his radicalism was balanced, and subject to basic general moral principles. Thus, he in no way condones the violence of the insurgents of 1971, in his moving plea on their behalf, ‘Emergency Regulations – For Whose Benefit?’, the first pronouncement on the subject by a nonpolitical public figure, a parallel to his being the first such figure of any consequence to visit the Jaffna Peninsula after the violence in 1983. At the same time, in criticizing violence, he does recognize that where the young turn to violence it is the responsibility of the authorities to appre­ciate that there must be good reason for this, and to look into their grievances; and also that excessive and unnecessary recourse to violence by authority combating violence only exacerbates the situation while taking away from the moral status of what is being defended. His last Pastoral letter, which received a lot of publicity after his death, takes up a number of these factors: the absolute rejection of violence and terrorism, along with a plea for the powerful to unbend, for strength to be exercised on behalf of the oppressed and suffering. More importantly perhaps it asserts a profound concept of responsibility and moral awareness. Lakshman was one of the few adults of his generation who was ready and willing to apologize to anyone, whatever their relative status, if he felt he were wrong; he was also anxious to consider carefully whether he were wrong, to weigh issues on their merits rather than in terms of consequences, real or imagined, adverse or otherwise, for those involved. Where so many people in authority are eager to blame others, to claim they did not know, that saboteurs are responsible, Lakshman lays down through an unassailable argument the need for a national apology to those who suffered for the violence that occurred. It is not a question of collective guilt; that he shows is untenable in his argument against those who attribute such guilt to those who suffered; but he proclaims a need for collective remorse by virtue of the claims of the individual to a common humanity and, where relevant, to a religious inspiration.